The 20 year-old has spent the last three years in England, where he has played for both Somerset and Gloucester Second XI's. 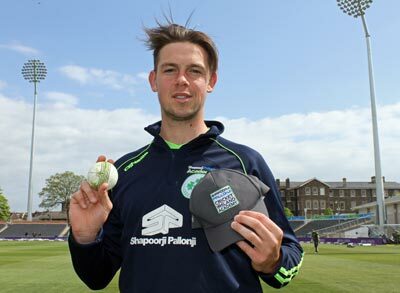 His time in England has meant he only played for North County sporadically, making 16 Premier League and six cup appearances for the Balrothery side (Source: Leinster Staszone), where his best bowling display saw him take 4 for 4 against Clontarf. He is currently playing club cricket in Australia with Clontarf's Eoghan Delany for Prestons. "I am looking forward to playing back in Dublin with YMCA after nearly three years away," Hand told CricketEurope. "It will be a challenge but one that I will embrace. With youth and ambition on our side we can do well. It is going to be an exciting season." YMCA skipper Jack Tector was happy to have signed such an exciting talent. "We're obviously delighted to have Fionn join us. He’s been away at school in the UK for the last few years but it’s brilliant to have him back in Ireland and join YM. "Having played a bit with him in underage squads I know he works extremely hard on his game. He will have great opportunities at the club. "I know he’s looking forward to working with the brilliant Kamal Merchant which will only help his game With the Anders family also joining us we are shaping up well for the 2019 season. We have a young side which I really can’t wait to be a part of." 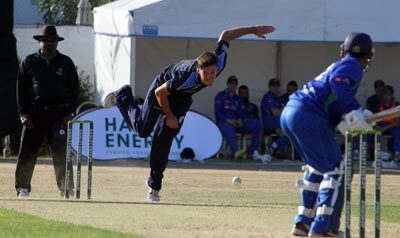 YMCA President Heatley Tector welcomed the news that the club had secured the services of the dynamic all-rounder, adding to their earlier announcement that the three Anders brothers were joining from Phoenix. "Fionn is a multi-talented cricketer who I know will make an enormous impact both on and off the field. I am sure both Fionn and his family will add enormously to all things YM and as Club President I can’t wait to welcome the Hands to Claremont Rd. "2019 is going to be a very exciting year in Leinster cricket and we in YMCA CC look forward to playing our part in generating this excitement and with the addition of Thomas, Rory, Ian, Fionn and of course John and Lesley as well as Phil and Brenda I am confident we will do so."